Playoff Ticket Packages: 2017-2018 Playoff Ticket Packages are now available! Season Seat Holders have until March 18th to register and secure their seats for the post-season. Along with securing your 2018 Playoff tickets, you can renew your Season Seat commitment for the 2018-2019 regular season. Tickets will go on sale to the general public on March 19th at 9am. 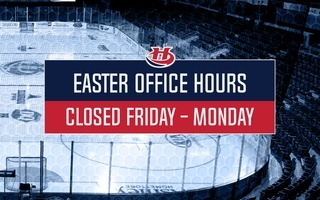 Call 403-328-1986 or visit the Lethbridge Hurricanes Office to secure your seats. Fan Appreciation Night: The Hurricanes will be holding their annual ENMAX Fan Appreciation Night on Friday, March 9th when they welcome the Red Deer Rebels. During the course of the game, there will be special giveaways for the fans! 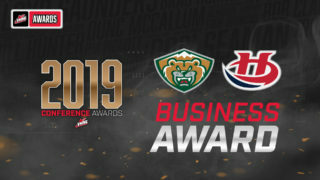 Awards Night: The Hurricanes will be holding their annual Awards Night on Saturday, March 10th when they host the Regina Pats at the ENMAX Centre. Fans are encouraged to be in their seats by 6:50pm. Tuesday, February 27th – 4-3 Win vs. Moose Jaw Warriors: The Hurricanes earned a come-from-behind 4-3 win over the league-leading Warriors on Tuesday. 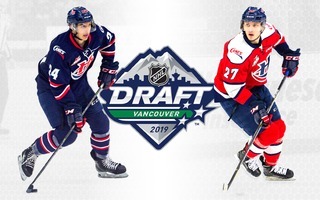 Dylan Cozens scored with 1:34 left in regulation. Keltie Jeri-Leon, Taylor Ross and Egor Zudilov scored the other while Logan Flodel made 37 saves. 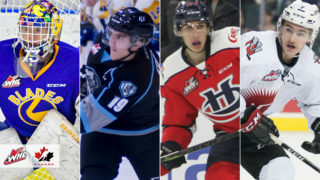 Friday, March 2nd – 5-3 Win at Saskatoon Blades: The Hurricanes won their third straight game on Friday with a 5-3 win in Saskatoon. Taylor Ross and Jake Elmer scored twice while Jordy Bellerive added one in the win. Logan Flodell made 43 saves in the victory. Saturday, March 3rd – 4-1 Loss at Prince Albert Raiders: The Hurricanes had their three game winning streak snapped on Saturday with a 4-1 loss in Prince Albert. 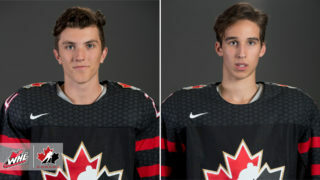 Dylan Cozens scored the lone goal in the losing cause. Tuesday, March 6th, 6:00pm at Brandon Wheat Kings: The Hurricanes continue their four game East Division road trip on Tuesday with their final regular season trip to Brandon to face the Wheat Kings. The ‘Canes have posted a 1-2-0-0 record against Brandon this season after a 7-2 win two Fridays ago. Wednesday, March 7th, 6:00pm at Moose Jaw Warriors: The ‘Canes conclude their four game East Division road trip on Wednesday in Moose Jaw to face the Warriors. The Hurricanes are 1-1-1-0 against the Warriors this season after earning a 4-3 victory at the ENMAX Centre last Tuesday. 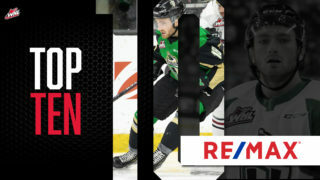 Friday, March 9th, 7:00pm vs. Red Deer Rebels: The Hurricanes return home on Friday to welcome the Red Deer Rebels at the ENMAX Centre. It will be the first of two games in a span of six days between the ‘Canes and Rebels. The Hurricanes are 4-0-0-0 against Red Deer this season. Road Trippin’: The Hurricanes are in the midst of a four game road trip through the East Division. The ‘Canes have posted a 1-1-0-0 record so far after defeating the Saskatoon Blades while losing to the Prince Albert Raiders. The ‘Canes will complete the trip on Tuesday in Brandon before Moose Jaw on Wednesday. The Hurricanes are in the midst of seven straight against the East Division.